For many of us, we have been selecting our #OneWord for as long as we can remember. For others, it may have been recently introduced. In sharing with colleagues and in hearing Jon Gordon speak a few year ago, the book One Word that will Change Your Life was introduced to me. It brought me the clarity I needed in my work, and within my home. The years pass and I continue the process. Doing so creates focus, adds an understanding of my personal and professional roles and brings purpose. 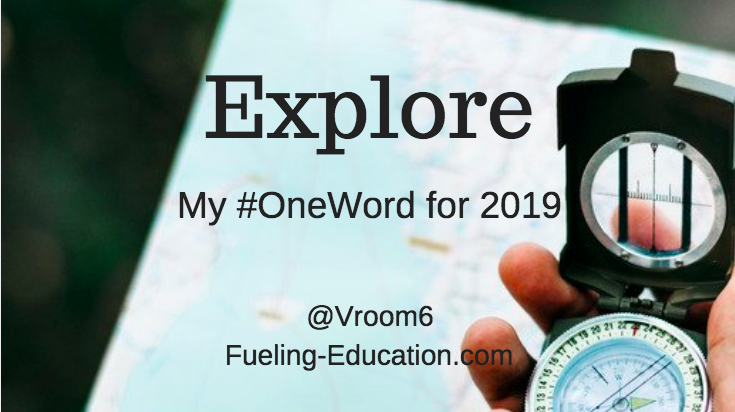 Now, it is time to choose a word, or rather as Jon Gordon writes and shares, a word that will choose me, that will guide me through 2019. This past year brought change in my career. New faces, new spaces and a new challenge were presented. The first semester has been intense, supportive and full of growth. Push, pull and struggling along the way were common. Newly formed friendships, kindness and love stood side by my side. Each day gave way to a new opportunity to learn, to grow, to share. Life at home is changing, too: kids getting older, chapters turning, decisions about next steps on the horizon. The number around the dinner table changes next fall with tassels turning in May. For years, we knew this day would come. 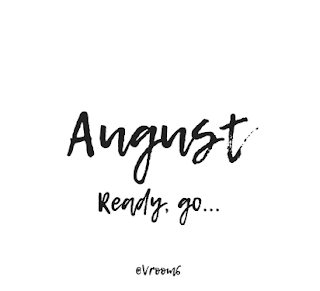 Coming too quickly if you ask me. We will go from six to four. Just like that. What next, then? What does the future hold? I'm scared and excited; it runs through my mind, my body and my soul every day. Change is good for me, for our children, for our growth. Time to see what awaits. It is time to EXPLORE. With the support of colleagues, I will EXPLORE what I can do each day in where I work. My future. With the support of family, I will EXPLORE what is on the path ahead for my children. Their future. With the support of friends, I will EXPLORE in the coming days and months, and grow in our relationships with each other. Our future. With the support of my faith, I will EXPLORE and be steady in the face of storms. As heartache will inevitably be upon us, we will be there for each other. Our loved ones. I am ready to take on this new year and the challenges, the opportunities and the experiences that await. Moving forward, my mindset will be one in which I explore what is around each corner and down each path. Here is to an amazing 2019 full of exploration! Have you ever heard the expression "stay in your lane" at work or at home? The expression, for those that are not familiar with how it is used, refers to decision making and input about about various situations in your life and/or it can be about any opinion you may have about a certain topic. For example, in the education circle, if you are a teacher and a building decision is made, someone may say that you should “stay in your lane” and allow the building administration to make that decision. At a higher level within your company you may be encouraged to “stay in your lane” and keep that type of a decision to those that have the position to make the call. As a parent, if you don’t like what you are seeing during your student-athlete’s sporting contest, you may want to share your opinion with the coaching staff. In this situation, you may want to “stay in your lane” and let the coaches coach and the parent parent. Of course, this expression can be used thousands of times over. From parenting, to the way a grocery store is laid out, to decisions made at your place of employment, to everyday decision making under your own roof. 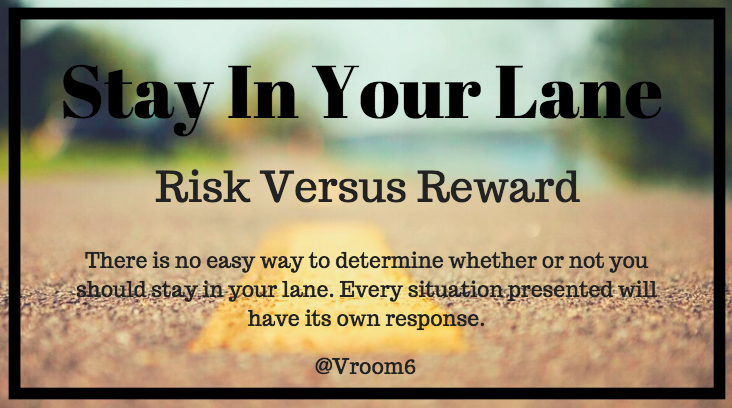 Staying in your lane, however, is high risk versus high reward. Ask yourself this question: How often do you “stay in your lane” where you work and live each day? Do you have an environment where it is encouraged to process, push back, offer input and give feedback to decisions that are made that have an impact to a greater audience? And, when you do offer feedback, solicited or not, how is that received by your colleagues or family? Staying in your lane has both negative and positive connotations. 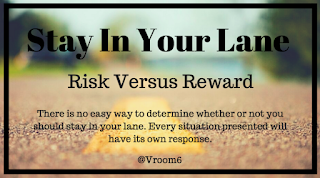 Based on your answers to the questions above, you will know rather quickly whether or not you should stay the course (in your lane) or take the risk of stepping, or swerving (carefully) from side to side. Consider your approach. Ask for a conversation. Remember the goal in mind. Recognize that some decisions just need to be made. There is no easy way to determine whether or not you should stay in your lane. Every situation presented will have its own response. If you read through this and realize you are always within your 12 feet and never cross over the dotted line (or worse, the lines where you work or live are double solid), you may want to take a step back and assess the very foundation of where it is you spend your days. In the end, it is the relationships you form that are essential and those will drive decisions within the organization. If you have not established trusting and purposeful interactions with those with whom you work and live with, whether or not you should stay in your lane is the least of your worries. 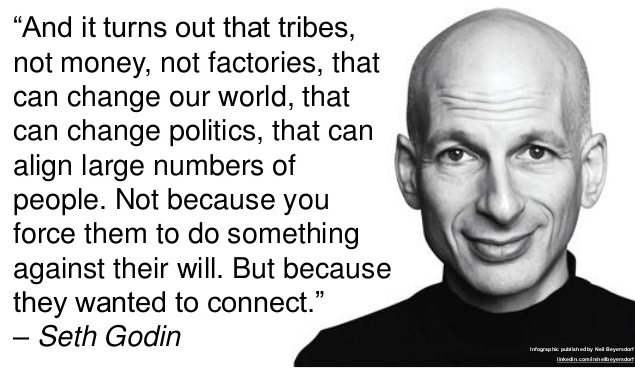 Have critical conversations, build upon what you have and trust your instincts. 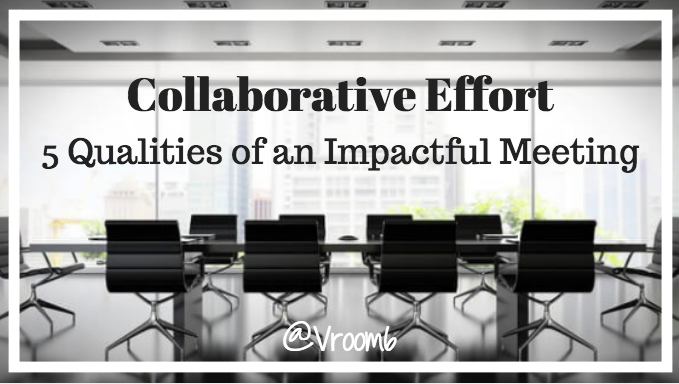 If your work environment is anything like mine, you have powerful opportunities to grow collaboratively and with support. 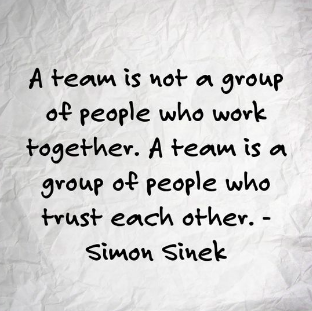 The team is the most powerful aspect of what we have. Believe in it, lean on it. 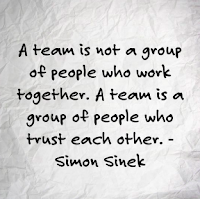 And finally, as you go into the second half of the school year have a goal of encouraging feedback and collaboration. And, take inventory of the relationships you have formed. Find balance on the road you are on going forward into the New Year. Walk the halls of your school and listen to the exchanges between students and adults. Engage in a conversation with a teacher that you work alongside of on a daily basis. Hear how students talk about their hopes, dreams and even their struggles throughout the building. What you are hearing is people giving of themselves in one form or another. Students give of themselves to their friends and teachers in how they listen, how they support and how they spend their time with each other. Teachers offer support and encouragement to their colleagues in their professional and personal lives. And, our cafeterias and hallways are filled with people both young and old that are constantly giving with their ears and eyes and hearts wide open. 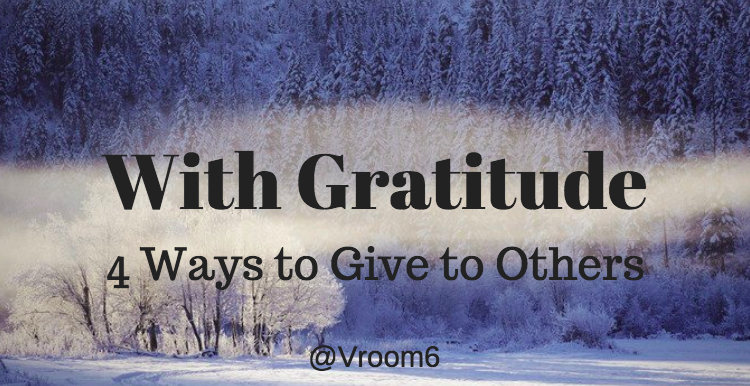 As one holiday passes and another is just weeks away, we find ourselves in a state of constantly giving. Regardless of our individual obstacles and the curveballs that life continues to throw us, we are resilient in our desire to be their for others. We give. Additionally, showing our gratitude does not need to be measured by dollars. And there is no way to determine who intends to give more than the next person. What we do know is that we are each able to be there for each other regardless of the time of day, the time of year or the money in our pockets. 1. Actively Listen. Do not just listen but listen with purpose. In other words - instead of hearing what someone else is saying and thinking of a response before they finish speaking, just hear them until the end. Pause. Think for a moment about what was shared and then respond. The person who is sharing will notice this subtle yet purposeful act in how you listen. 2. The Gift of Time. This is the one gift we have each asked for in a variety of situations many times over. 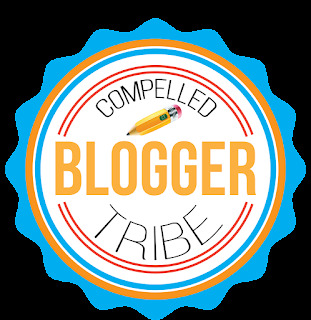 In the spirit of giving, find a creative way to offer a colleague this very gift. Covering a class for part of the day is a great way to do this. Find a day that works and take over a lesson during your planning period. 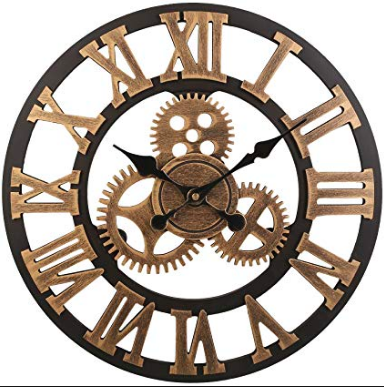 Or, if you are an administrator, build this into your week and encourage your colleague to use the time however they would like. 3. Use Your Muscle. The heavy work takes up much of our energy. If you are looking for a way to give to others, offer yourself, and your muscle, to pick up, clean up and even repurpose your teaching space. 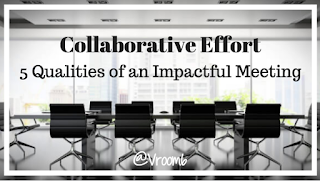 With flexible seating and a shift toward focusing on design, give of your muscle to make this happen. The transformation will be more than just furniture being moved. 4. Give Thanks. Especially this time of year, simply give thanks to those around you. Regardless of how well we know someone, seek out those you share your day with and simply let them know you are grateful for who they are and what they do for the organization. While using your words is the most meaningful, send a note. Write to someone and share your gratitude. You will be grateful of the feeling you will have for doing so. 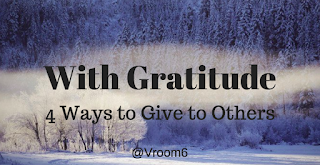 The season in which we are in continues to be the one that many of us invest the most of ourselves when it comes to giving and showing gratitude. With that in mind, be creative in how you give. While financial support for those that are in need goes a long way, I would also share that time, muscle, how we listen and words of thanks are equally as powerful. 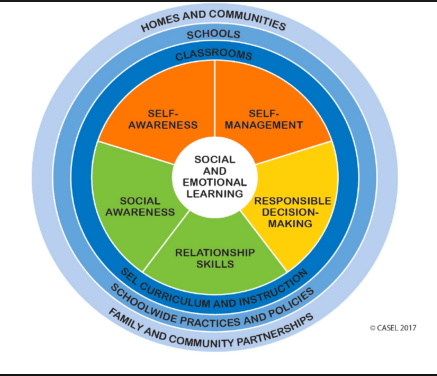 Educators across the country have known for years that the social emotional well being of their students is a critical component of knowing their learners. The importance of understanding a students background, their life story, and what events have shaped their journey to date are essential to the progress we make in our classrooms each day. Even with all of this knowledge and the desire to shield our children and our students from the cruel realities of society, students are more fragile than ever before. 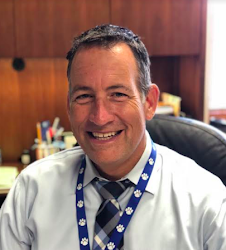 Self-harm, anxiety and depression continue to be a topic of teachers and administrators to not only start a school year, but also is a weekly point of conversation with counselors, social workers and most importantly, parents. Anxiety is real. It's impact is life-changing. Now, connect this to your own personal story and your own struggles as an adult growing up and taking on your role to teach. 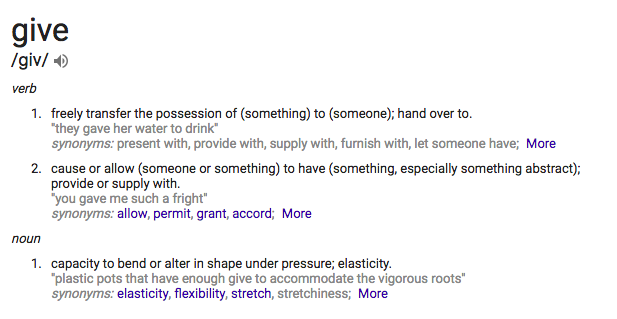 And/or, for those of you that may have your own children, how has your parenting evolved into something that you most likely didn't recall as how your own parents raised you? Times are changing. Children are living in world that many adults are not familiar with. The days of "ignoring it" are gone. We must take action. Last year about this time I was handed a book from a colleague that was authored by Kate Fagan. It was a read that I was not familiar with but one that I was encouraged to dive into. Especially having two high school seniors beginning their journey of their next chapter of their lives. The decision of college, athletics at the next level and more were on my horizon, and theirs, and it was coming quickly. The book, What Made Maddy Run, is an unbelievably challenging book to read. Not because of the level of vocabulary or the fine print, yet due to the hard truths of young adults and the struggles they face with depression, anxiety and the fear of failure. What was equally as powerful (and painful) was that I was reading this through the lens of an educator and as a parent. And, as hard as it was to read, I could not put it down. I was drawn in. I was learning. My own response, reaction and support would soon grow. The statistics state that too many times over the story of Maddy is a common one across campuses. 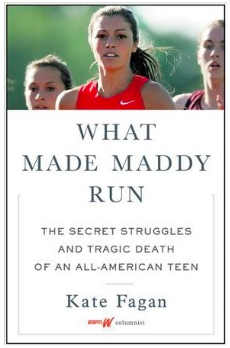 While Maddy had an amazing family, supportive friends and she excelled in the classroom, there was a side of her that was never fully understood. Or worse, never heard. Part of that was due to her control. Part of that was due to the adults not necessarily recognizing the signs. And, on top of all of those previously mentioned favorable life factors, she was an amazing athlete. Maddy was a "picture perfect" image of a young adult who had the world in front of her and dreams that couldn't be stopped. And then it did. Abruptly and suddenly and to her family and friends, shockingly. Where are you in your understanding of social emotional learning in your space? 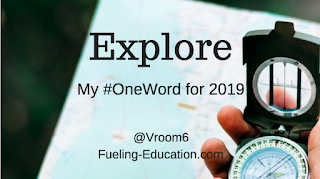 If you are anything like me, you are still learning and growing and searching for resources to make you that much more responsive to our students needs. With that in mind, I would encourage you to pick up this book and give it a read. It won't be easy. It gets uncomfortable. It is painful. Yet it is also a look into the life of a young person who seems to have it all but the truth was far from the reality. You will be better for having read it. And, you will be better prepared to support your students and your children along the way. We must continue to get a deeper understanding of the social emotional state of the young people coming to their classroom door each day. It is essential. Understanding their hope, their sense of belonging and even their grit, should now be a part of our daily work. While Maddy on the surface may have had many of these attributes, we discovered in the end she was lacking many. It was the layers that were not peeled back that could have revealed a different ending to her story. So, continue to explore and continue to learn. Connect with others and keep the conversation going of social emotional learning in schools. Continue to locate the vast resources that exist. Especially from within your district and from your colleagues.